If you’re going on a regional flight, you might as well do so with stylish luxuriousness. Chartering for a private Boeing 727-200 means you’ll have all the comfort you’ll need to have a restful and enjoyable flight. Its customized cabins will depend on how your prospective operator has initially laid out the plane’s amenities. Its standard set of facilities usually includes a galley, in-flight entertainment system, lavatories and connectivity features such as WiFi. To make sure you’ll have an enjoyable international or regional flight, be sure to confirm the plane’s features with your operator today. The Boeing 727-200 has a space equivalent to 189 passenger seats, thus you can just imagine how many amenities may be placed in its cabin. Business travelers will find it quite a delight that they could check their emails, prepare their documents and transact while on board a private 727-200. With the use of WiFi, both business and leisurely travelers can stay in connection with their family, friends and professional networks. 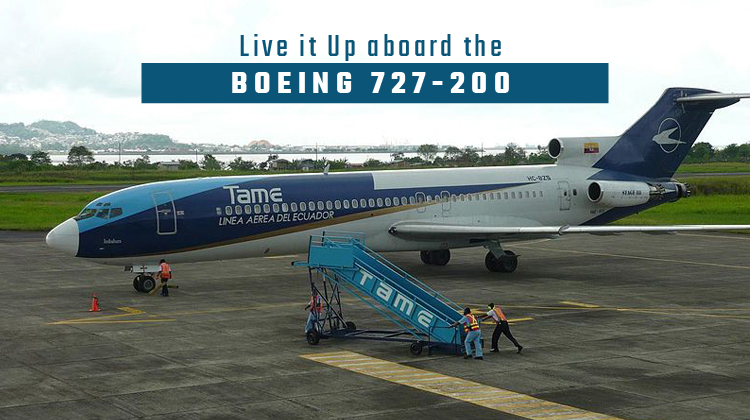 For luxurious regional trips, book a private flight on board the Boeing 727-200 today. By chartering for a private Boeing 727-200, you’ll get to enjoy a variety of amenities which your chosen operator has prepared for you. Compared to commercial airlines, a private 727-200 has flexibility with its cabins. For instance, some planes have a variety of seats such as divans and upgraded passenger recliners. This plane allows for sturdy tables to be placed in the middle of seats, for travelers to enjoy their meals or conduct their meetings together. With its size, it might be easy to assume the Boeing 727-200 may tend to fly much slower than most small and medium sized jets. Did you now this aircraft uses three turbofan engines? This means chartering for a private service on board this plane lets you reach your intended destinations at much faster paces. 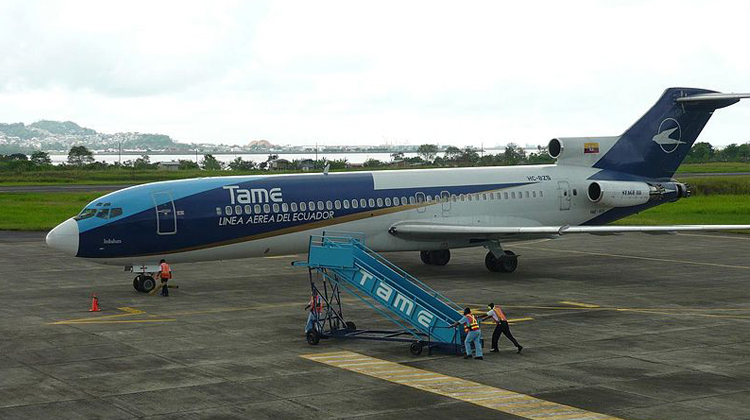 If you’re flying from Ontario, Canada, the Boeing 727-200 lets you fly as far as Nunavut or Bogota, Colombia. Should you be flying to this plane’s farthest possible destination, it would be necessary to confirm how much cargo can be brought with you. This way, your operator can write down the best routes and schedules of your flight plan. Generally, a lighter aircraft lets you fly to the farthest destination within the fastest possible paces. Manufactured by the Boeing Commercial Airplanes, the Boeing 727-200 had its first flight during 1963. Today, it recently has over 1,200 units being flown all over the world. With the 727-100 as its inspiration, the 200 variant had a stretched fuselage to cater for more passengers and cargo. It was also developed to increase its fuel capacity for farther ranges and better flying performance. This aircraft also had Northeast Airlines as its first, primary user.